We have had joyful few weeks crafting some new artworks for our Mini-Collection. The art and craft session at Minitalia Lab is one of the favourite activities and it is always so nice to hearing that many of you keep the unique pieces we make together for and extending playtime over the workshops. The incredible adventures of Minitalia Lab are a wonderful reflection of an extraordinary daily life where very busy Mini-Explorers discover the treasure of life. In the accurate selection of our materials I made the choice of an evergreen story, Pippi Longstocking. Minitalia Lab special story time is designed to make the stories together to encourage a good listening time and discover new vocabulary. As per our famous and wonderful collection of Mini-Stories that are a successful instrument to engage all the children to a happy reading, also the hilarious adventures of Pippi is a fantastic inspiration to generate interaction between new patterns and text. At Minitalia Lab children imagination is stimulated by activated all the senses to develop a multidimensional form of the language. The interaction with the story is the secret to build it and bring it to a new life. Children become the real makers of the story through the course of the reading and the excitement to know what is coming next and how it looks like, intrigue all of them to perform and to create, all in Italian. 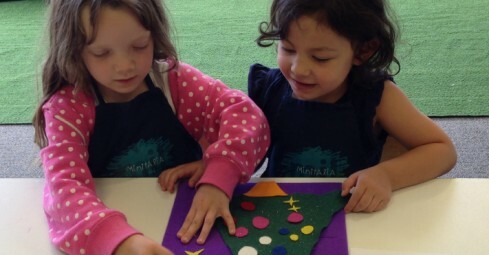 Minitalia Lab’s activities are a real experience for the children to learn Italian with creativity and my Mini-Explorers love to be part of that because they are the “merry makers”. Children love to be evolved in the process of learning and I love to guide them through this journey. I cannot wait to make with all of you our Mini-Christmas Tree and meet Babbo Natale also this year!